I will arrive half an hour before the puja - please have all the puja items ready as per the list - all fruit to be washed. The family should take a bath before the ceremony and wear clean clothes. Loose fitting white clothes for men are preferable (kurta pyjama or dhoti and anga vastra) and coloured for ladies. Jeans are not suitable. All preparation should be completed before the ceremony starts as all fiddling and ferreting in the kitchen during the ceremony is discouraged. Explanations will be given in English before and during the ceremony, all chatting and gossiping is to be avoided so that those who are serious can concentrate fully on the Puja. 1. If fire alarms have been installed and they cannot be successfully de-activated then Homa (fire offerings) will not be performed – only Puja will be done. In order to deactivate the alarms you will need to remove the batteries and check that the electricity supply is disconnected. Check the deactivation procedure by holding a bunch of incense under the alarm to see if it is still active. 2. Until now we have avoided setting fees for Pujas, since it is our sacred duty and not our business, but due to the fact that some yajamanas have been unfair in their charity, indifferent to the value of our time and unmindful of the cost of living to which we too are subjected, we are now compelled to set a minimum dakshina of $300 per ceremony. AND USE RECYCLABLE GREEN BAGS INSTEAD! A Vedic ceremony done in order to clear any imbalance of energy in the home or office space. This is the traditional and appropriate ceremony to perform when entering into a newly acquired property, a house, apartment, shop or an office. All enclosed spaces create an energy field which is further conditioned by the auras of the people who use the space and the interpersonal dynamics that occur in it. The purpose of this ceremony is to transmute the negative into a positive beneficial force and to remove all obstructive elements. It consists of a Ganesha Puja, a purificatory ceremony and an invocation of the Vastu Purusha for blessing the space and affording protection. Place: office, home, factory, shrine etc. Please note that this ceremony can be done with or without Homa (fire offerings). The ingredients and quantity vary slightly for each type of ceremony. Below are the items you will need to purchase for the ceremony. Please let me know in advance which type of ceremony you wish to be performed. A fire ritual which is done to achieve empowerment and protection - either spiritual or for some physical purpose. Sudarshana is the personification of the Discus held by Lord Vishnu. It is representative of the all-pervading Cosmic Mind. Sudarshana is one of the ’wrathful’ deities and is invoked along with Narasimha for protecting the spiritual aspirant from all negative forces that may be at work disturbing their lives and their Dharma practice. The ritual can also be used as a type of exorcism which removes elementals and other troublesome astral entities as well as counteracting curses and spells. Hayagriva is the Hindu/Buddhist deity of knowledge and skilful means. This is a ceremony in which offerings are made to Hayagriva in order to invoke his blessings and to maximise the learning potential and the ability to actualise spiritual practice. This is a ceremony to invoke the blessings and grace of Lord Dhanvantari — an aspect of Lord Vishnu which presides over longevity and health. He is the originator of the science of Ayurveda and is thus the patron deity of Ayurveda. This can be done as a puja only or as a yajña with fire-oblations. An all-inclusive puja in which offerings are made to all the deities in order to express gratitude and to invoke their blessings and goodwill. The principle deities are Vishnu & Lakshmi and the purpose of the ceremony is thanksgiving. The participants are required to fast from sunrise and to have the ceremony performed in the evening. The Nava-grahas are the nine planets which are the Lords of Karma and have sway over our lives. Each planet alternates in guiding and governing our lives in accordance with our previous Karmas. Sometimes, when things are not going well and cycles of hardship are operating, the Navagraha Shanti ceremony is done in order to pacify the planetary influences, ameliorate the suffering and to empower the performer to deal constructively with the negative state of affairs. If there are seriously negative influences in a person’s birth-chart then this ceremony is also done in order to ameliorate the influences and empower the native. This ceremony can be done either as a Puja in which offerings of fruit, flowers, incense etc. are made, or as a Homa or Havan in which offerings are made into the consecrated fire. 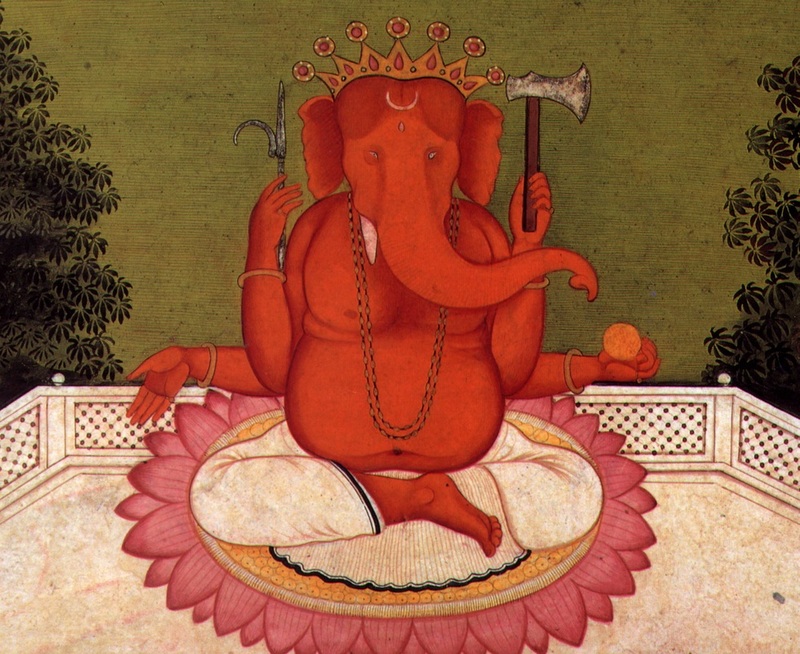 Ganesha is the Lord of Obstacles and their remover. This ceremony is done either as a thanskgiving or as a prayer for the removal of hindrances and the accomplishment of one’s desired project. Place: home, office, factory, shrine etc. Mrtyunjaya is an aspect of Lord Shiva and is invoked for prolongation of life and health in young people, for uneventful recovery of those that are sick and for the comfortable management of death and dying in the old. This is a ceremony for longevity and health — usually done for children on their birthdays, but can also be done for adults on their birthdays as well. This ceremony which consists of making offerings of ghee into the consecrated fire is primarily done by a person wishing to cleanse himself of a sin he or she may have wittingly or unwittingly committed. Some people are also advised to perform it as a remedy for some specific negative astrological influence in their birth charts. 4. The hardship we cause to our mother during pregnancy, birth and childhood. 5. The mental anguish we cause to both our parents with or without our knowledge. 1. Some Karmic debts are effaced. 2. Extended life, sound health and a pure heart and make us better human beings. Avahanti homa is a ritualistic fire meditation done to receive all dimensions of wealth along with the intelligence to create more wealth and sustain the created wealth. Holistic wealth can be achieved by offering this homa. Holistic wealth encompasses money, movable and immovable properties which include real estate properties, gold, diamonds and shares. In short Avahanti homa helps you earn wealth from all sources. The mantras that are chanted in the Avahanti Homa are found in the Taittiriya Upanishad. In this homa powerful mantras are chanted to kindle the Cosmic intelligence, your ability to create wealth, to inspire and enroll others about the business ideas that you have and be a successful businessman and above all to achieve the Ultimate – the Enlightenment experience. The āvahanti-homa is also commonly performed as a part of celebrations of our ācārya-s like śaṅkara-jayanti, guru-pūrṇima and vardhanti programs. A few days before the wedding a number of ceremonies are performed which differ from community to community. Generally the ceremonies involve a Ganesha Puja, a Navagraha Shanti Puja, and a Purification Ceremony. The exact details should be discussed with the family priest.